Restaurant FAMO is the place to eat Italian food in the Vesterbro area of Copenahgen. It is the first restaurant in the Famo family and it opened in 2005. The menu at FAMO is fixed, there is one 4 course menu each day; that's it! You can either take all 4 dishes or choose 1, 2 or 3. All of that is high quality Italian food at a decent price. It is all about how to use the ingredients and the love for creating a good experience for the customers of FAMO. You will find wide selection of Italian wine on the menu, which is updated regularly. You are able to watch the chefs working in the open kitchen paying attention to every detail of your meal. 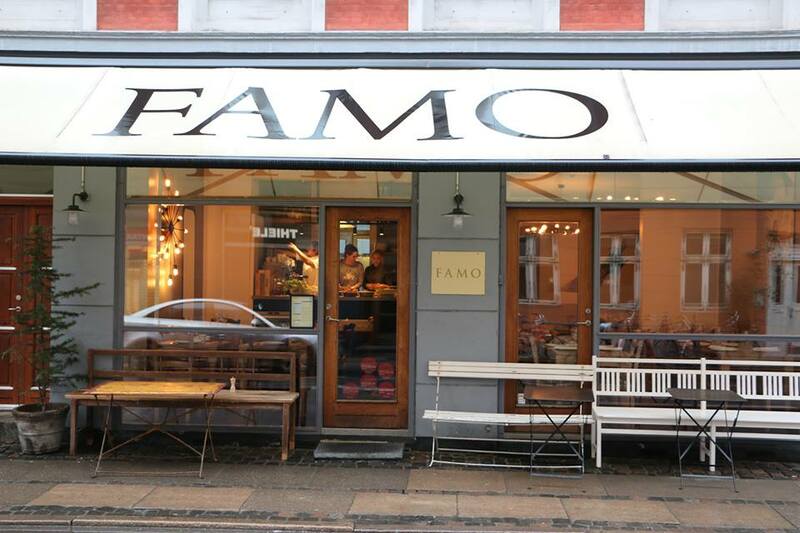 It is recommended to book a table via FAMO's website.